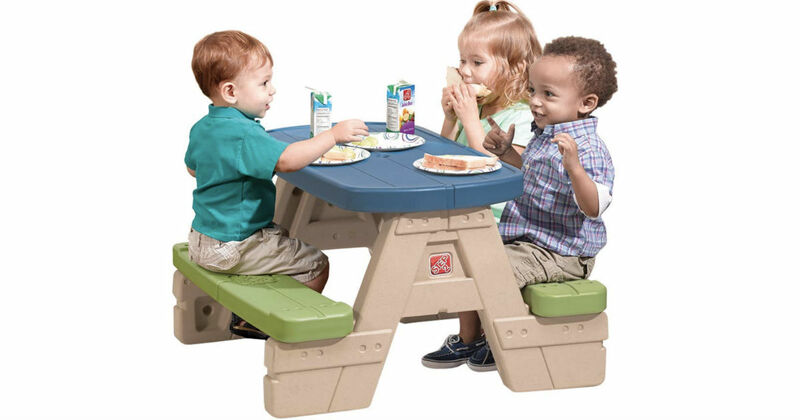 Save 31% on this Kids Picnic Table! Amazon has this Step2 Sit and Play Kids Picnic Table with Umbrella for only $34.38 Shipped (Regularly $49.99). Up to 4 kiddies can comfortably share their seats with one another to nibble snacks or do crafts together. Little do they know they’ll also be developing social skills at the very same time!